It says: A moment before Gilad gets home!…Let’s all take a step back, and give the family the time they need for healing and reclaiming the life that was taken from them five years ago. Last weekend was the holiday of Succot in Israel, the shops and newsstands were closed, and the newspapers did not print fresh editions in deference to the occasion. But the electronic media and Internet sites continued to be preoccupied with the aftershocks of the news that rocked the country on Tuesday, October 11th, when it was announced that Israel and Hamas had agreed to a prisoner swap that would free Gilad Shalit, the Israeli soldier who has been held in captivity for the last five years. 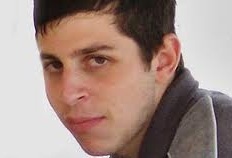 It was learned that Shalit would be returned to Israel sometime within the next few days or even hours. According to Haaretz, he will be transferred to Egyptian custody through the Rafah crossing before being sent home to Israel. According to the Hebrew-language news site Ynet owned and operated by Yedioth Ahronoth, Shalit is expected to be reunited with his family on Tuesday or Wednesday. The website reported that while Shalit would be escorted out of Gaza, Israel would at the same time release 450 Palestinian prisoners in the first stage of the agreement. The second stage of the agreement would be the release of the remaining 550 prisoners, whose identities will be determined by Israel. This release is due to take place in two months, according to Ynet. Shalit will be met by an IDF representative in Egypt, where he will undergo medical tests for purposes of identification. According to Ynet, he will then be flown by military jet to an army base most likely in central Israel, where his family – and, perhaps, Prime Minister Binyamin Netanyahu - will greet him. After undergoing a battery of further tests, Shalit will be flown to his home in the Galilee. He will be accompanied by military psychologists throughout his return. All media outlets reported that Shalit’s parents, Noam and Aviva, had left their protest tent in Jerusalem, the site which served as the headquarters of their campaign to bring public pressure to bear on the government in favor of a prisoner swap. After an exhausting five years, the Shalits returned to their home in the Galilee community of Mitzpe Hila, where they will await the arrival of their son. In the last 24 hours, fresh details have emerged regarding the processes that led to the deal’s eventual approval by the Israeli cabinet. 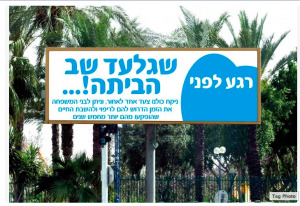 Haaretz and the Walla! online news service offered behind-the-scenes reports that shed light on the disputes and disagreements among the ministers who were called upon by Prime Minister Binyamin Netanyahu to sign-off on the prisoner swap. Uzi Landau, the national infrastructure minister, went head-to-head with the defense chiefs who recommended that the deal be approved. According to Haaretz diplomatic correspondent Barak Ravid, Landau scolded Shin Bet chief Yoram Cohen, who reversed the agency’s earlier opposition to a prisoner swap. "In the past, we did not support the deal," Cohen is quoted as telling the cabinet ministers during the fateful four-hour session. In describing the Shin Bet's efforts to minimize the security risks of releasing Palestinian prisoners, he said: "It was like an equalizer in a stereo system. We inherited the framework of the deal and the game was with the tones – who would be deported, who would go back home and would be released with restrictions." When Cohen said that he recommended approving the deal, Landau erupted. "You are a public servant," he told Cohen. "Your job is to provide data, not to recommend." According to Haaretz, “A few ministers responded to Landau and sided with the Shin Bet chief, but the officials most supportive of Cohen were his colleagues – IDF Chief of Staff Lt. Gen. Benny Gantz and Mossad chief Tamir Pardo. In other news, the White House did react negatively to reports that the Israeli government was considering ways to legalize the unauthorized West Bank outposts that were built by settlers on privately owned Palestinian land. According to Haaretz and Army Radio, the State Department voiced its displeasure at news that the Justice Ministry would establish a task force that would mull legal avenues the government could take to avoid implementing a High Court order requiring the demolition of the outposts. "The United States has a clear policy – we do not accept the legitimacy of continued Israeli settlement activity," a U.S. official said, adding that Washington opposed "any effort to legalize settlement outposts, which is unhelpful to our peace efforts and would contradict Israeli commitments and obligations." The websites of both Haaretz and The Jerusalem Post give prominent coverage to remarks by Israeli ambassador to the U.S., Michael Oren in the wake of revelations that Iranian agents had plotted to assassinate the Saudi envoy in Washington. Oren gave television interviews in which he expressed concern that the Israeli embassy may have also been a target. In an interview with MSNBC, Oren said that the Israeli government was taking these developments seriously, and that the plot is ‘definitely an escalation,’ according to Haaretz. "We know the Iran regime. This is a regime that has not only sponsored terrorist organizations in our area, Hamas and Hizbollah that have fired thousands and thousands of rockets at our civilian population, but they've struck abroad as well," Oren is quoted as saying in the interview. The Post reported snippets of Oren’s interview with CNN’s Wolf Blitzer. The ambassador touched on subjects like Iran’s nuclear program and the pending release of Gilad Shalit. According to the story, Oren reiterated that “all options were on the table” with regards to a possible military strike and that the Shalit deal was a result of Israel’s “contract” with soldiers who could be assured the state would do all in its power to win their release if they fell into captivity.